Apple has filed a number of stunningly promising patents this week–here’s a peek at the sweet new features that’ll make your current device look lame. 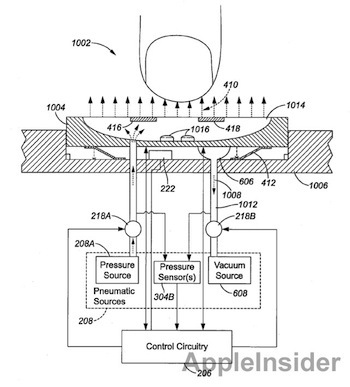 Apple has filed a number of stunningly promising patents this week, and combined with news from manufacturing partners and some leaks, here’s what may be coming up in future iDevices. We’ve seen a few rumors that Apple is adding a camera to its tiny touchscreen Nano iPod–bringing back a facility it added to its last-gen Nano at the end of its lifecycle. Now there’s another photo, which tallies with earlier leaks and suggests the rear corner of the next-gen Nano will have a tiny 1.3 megapixel camera in it. The photo also hints that the next version of the Nano will lack a clip–a requirement because, as you can see from the photo, it would obscure the camera. Is Apple planning a tiny magnetic clip accessory, borrowing from its successful and much-admired smart covers for the iPad 2? It would be a clever move that would shave precious pennies off the production costs of the Nano, while simultaneously earning more revenue from those users who needed to buy the accessory clip. As keyboards on portable devices get smaller, and most importantly as they get slimmer (with chicklet-style keyboards on Macs and other laptops rapidly becoming standard due to their lower profiles and improved design flexibility in computer chassis shapes) then they stop feeling like “real” keys, which have a definite travel and sensations on your fingertips that tell you you’ve pressed correctly. You may think in an era of ubiquitous touchscreen keyboards that this sort of problem isn’t severe–but let’s not forget the physical keyboard isn’t going anywhere yet, because it’s much loved and it’s often faster and more accurate. Which presents Apple with a problem–how does it make ever-skinnier chiclet keyboards but keep them feeling positive and reactive? By forcing air through an array of micro-sized holes on the key’s surface, that’s how. At least that’s the idea from a new patent application, which describes a keyboard with much shorter travel but the same kind of fingertip sensations you’d get from real key feedback. The keys could even detect an approaching finger and vacuum downwards slightly–a kind of pro-active key system. We pointed it out straight away, and many folks have made money out of the notion: The newest touchscreen iPod Nanos are near-perfect wristwatches. 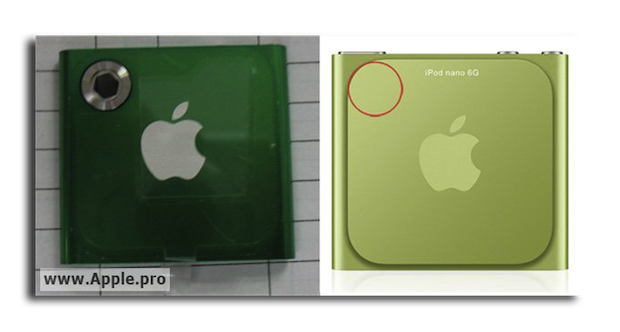 So much so that Apple may be planning to make iPods more attractive as jewelry or accessory items in the next revision–which may explain the conspicuous lack of a clip on the rumored camera-toting Nano. In another patent filing, Apple hints that revised Nanos may contain a bunch more sensors in addition to the simple accelerometers they already sport–and that these may be used to drive the display of a dynamic screensaver that could even react to environmental cues like temperature. Turning iPods into next-gen digital jewelry? Now that sounds like a smart way to diversify your business model and inject some love into a line of gadgets that is slightly declining in sales. Samsung is apparently poised to demonstrate a 2560 by 1600 resolution ten-inch tablet-style LCD screen at the SID Display Week 2011 symposium. It’s the first time such a high-pixel density screen has been available for the tablet market–rivaling even the “retina” screen that Apple championed for last year’s iPhone 4. We think Apple may be winding more voice recognition and perhaps voice synthesis technology throughout its iOS mobile device operating system, and a new patent application indicates Apple may indeed have very big plans. Specifically, the speech recognition/reproduction systems would be used to give users a way to communicate even in noisy environments, or situations where quiet is required–such as a meeting. Apple imagines using text-to-speech to alert a caller that you can’t speak to them directly, or to transfer a voice call to a text interaction because the phone detects that noise conditions at one end are too severe for a normal conversation. Read more: Most Innovative Companies 2011, Apple.